What do you do with all those Jelly beans left over from Easter???? The glasses all set up and filled with lots of different types of liquid. look at this writing..YIKES he writes in cursive so much better but I wanted him to get some print practice. he threw in some cursive letters in there though. This unit was awesome. K learned a lot about honey bees. The best of all he now understands why Honey bees are great for the earth. 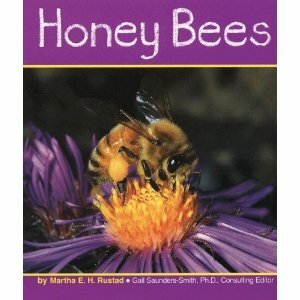 Each day we spent 20 Min's learning about honey bee's and some type of craft or writing work. We made the honey been to put up on the spring bulletin board. Don't you just love this little bee character that K made. We were studying the body parts of the honey bee and what better way to learn about how bees use their antennas than to make a hate with some on top. K loved walking about buzzing and smelling things with his antennas. we watched a short video of honey bees and their hive on this site and than we had a tasting of honey. K had honey before but it's like it all clicked where honey was from after this weeks unit. A little writing lesson I put together. Working on free writing skills. This [project had little help. I just encouraged for K to use his own thoughts and to go with it. He wanted me to help him with a few words but this was for his learning to listen for the letters and to think about what he was writing. Just priceless writing from my 1st grader. His honey comb rooms had a bathroom and my computer and toys but he just wouldn't write it all as he told me. 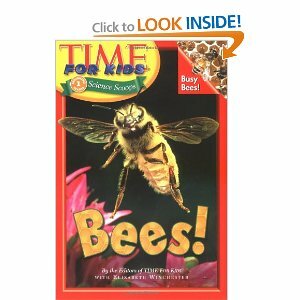 We also read The Amazing Honey Bee book from the $1.00 area at Target but didn't get a photo of the book.